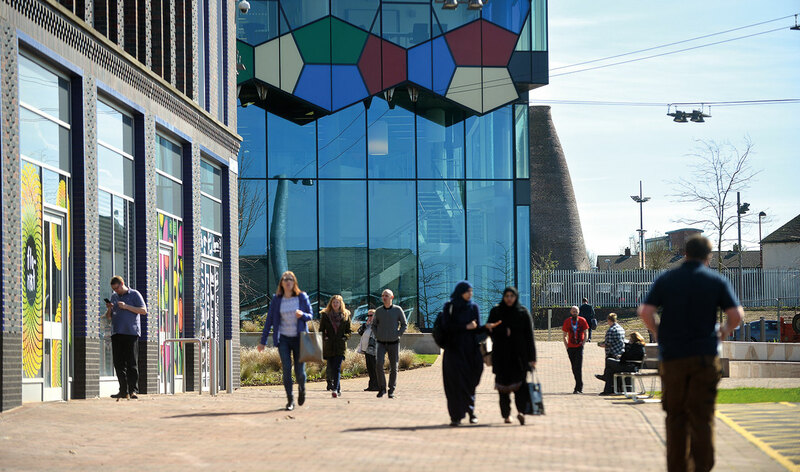 Retail & leisure opportunities at the heart of Stoke-on-Trent. 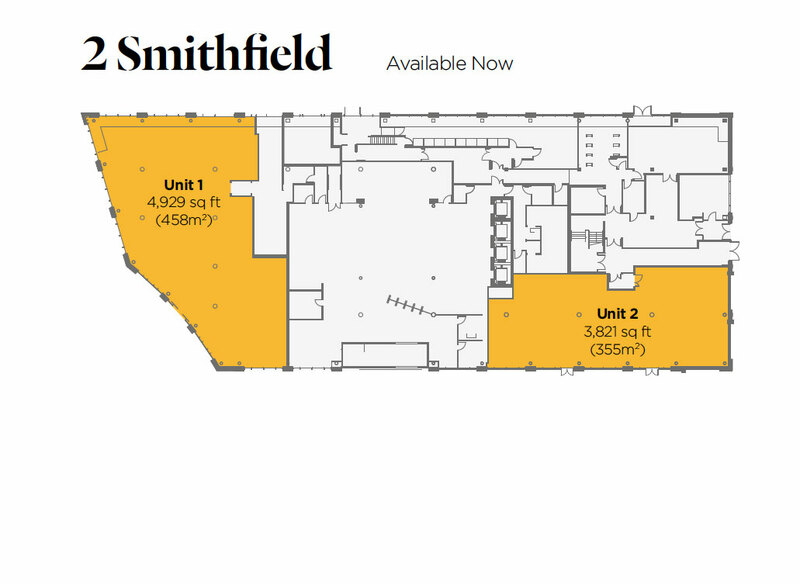 Smithfield is a new urban quarter for Stoke-on-Trent which, when completed, will comprise 1.2 million sq.ft of office, retail and hotel space. 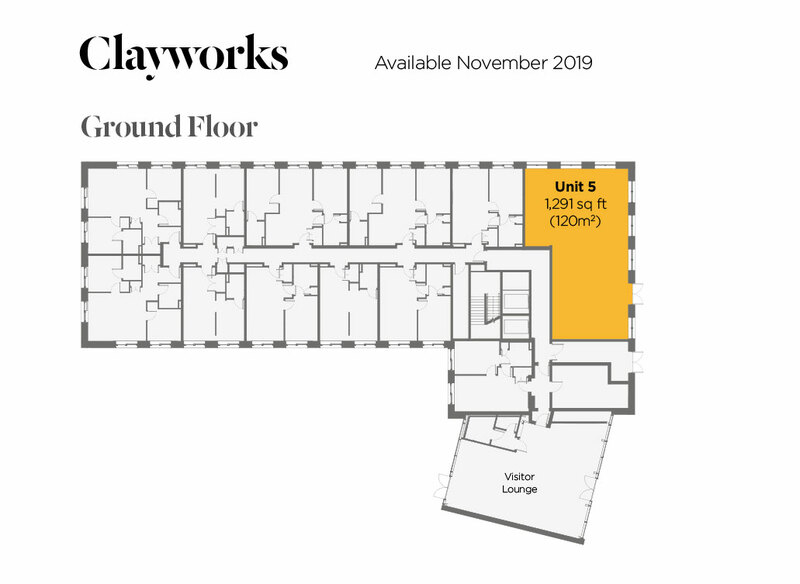 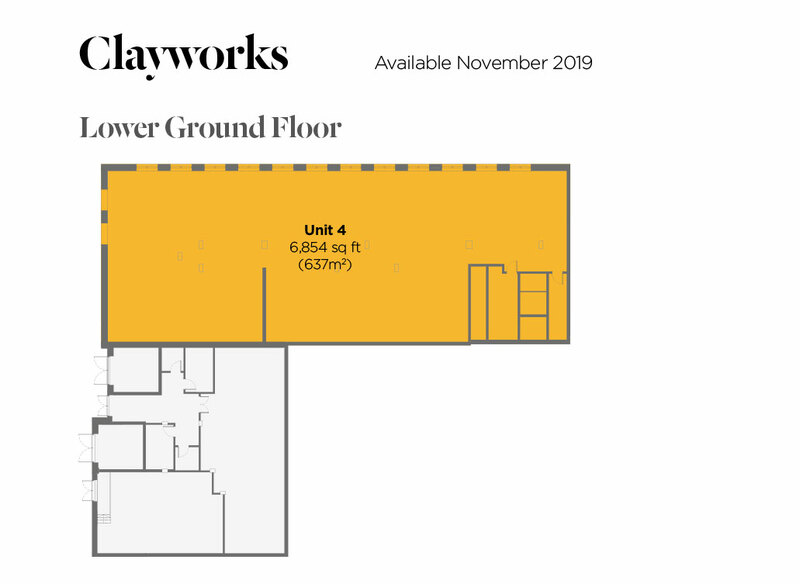 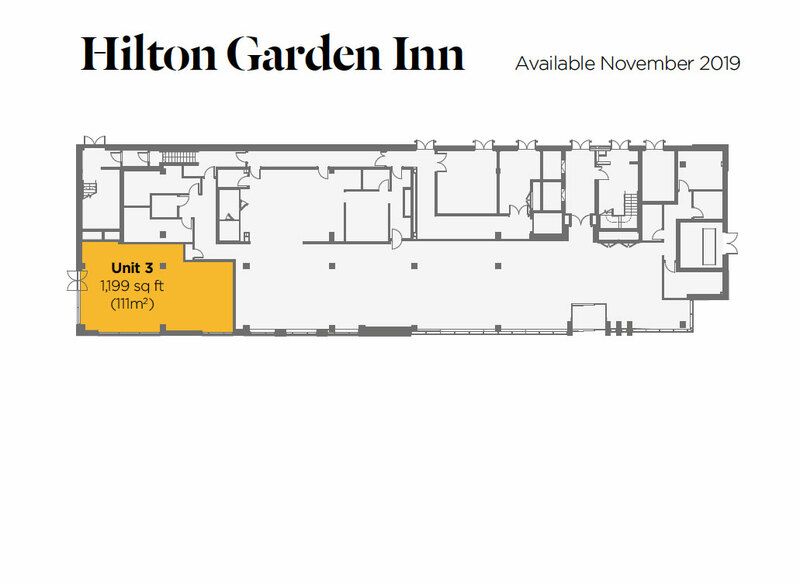 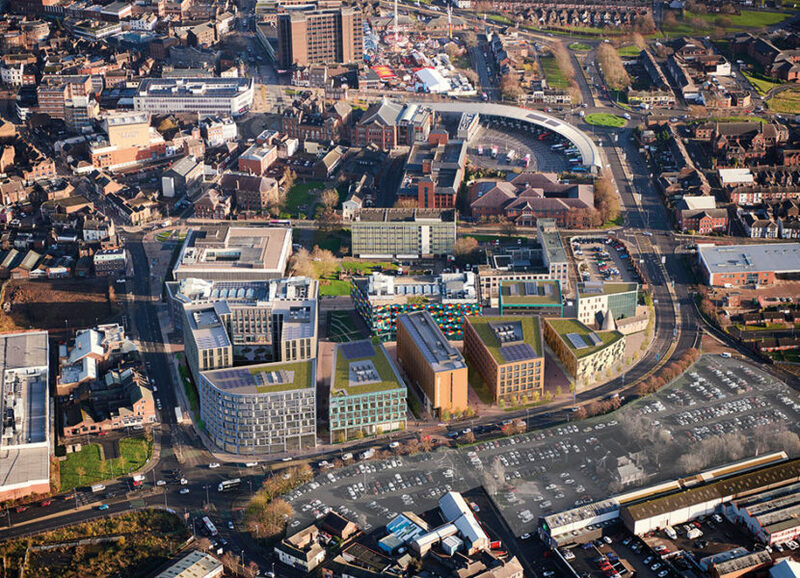 It is currently home to over 1,700 workers with 151 apartments and a 140 bed Hilton Hotel opening in late 2019, with outline permission secured for a further 200,000 sq.ft office accommodation. 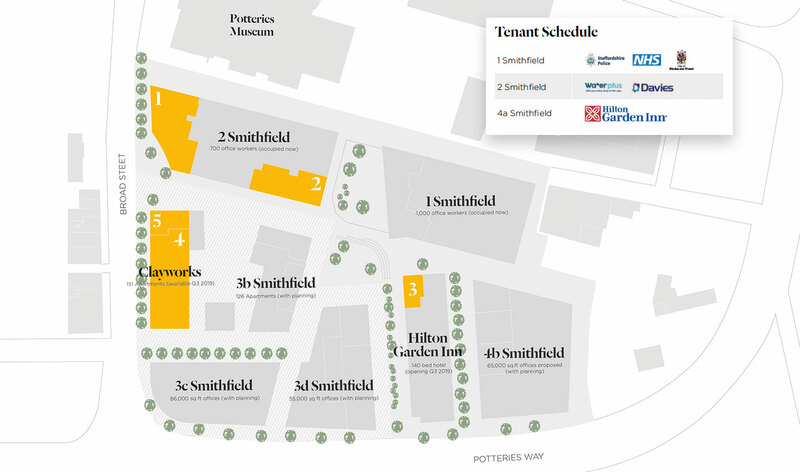 Smithfield is adjacent to the Cultural Quarter, which is home to the Potteries Museum where a new dedicated £6m Spitfire display is being created, the Regent Theatre and the Mitchell Arts Centre.